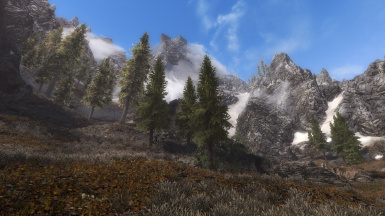 Complete weathers and lighting overhaul with larger variety of weathers and a presets system to spice it up to your tastes! The XB1/PS4 versions are hosted by Tarshana with permission from me. 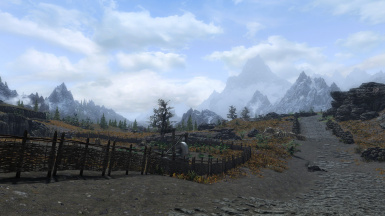 You are free to use the resources in this mod as long as you share your mod with the same permissions. As for Donation Points opt-in and earnings, you decide how you handle it. Sound files are under the Creative Commons Attribution 3.0 license. This means you can use them in your own work as long as you credit the original authors as well as link to the license. - Increased the chance of clear weathers. Bad weathers should occur less often now. - Increased the rate of weather changing. Weathers now change slightly more often. - Fixed another issue on foggy nights. 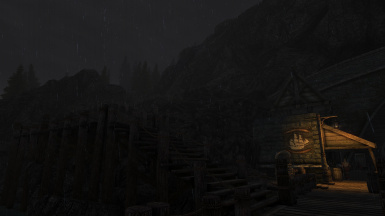 - Complete overhaul of weathers and lighting with a fantasy theme. 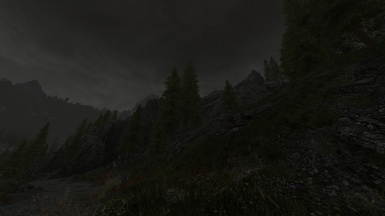 - Larger variety of weathers compared to vanilla weathers. 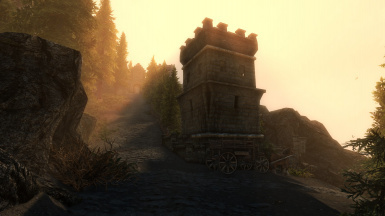 - A presets system that can be used to change the graphical style to suit your tastes. 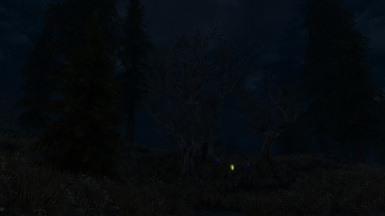 You'll receive a Power spell called Options: Mythical Ages Presets upon loading the game. 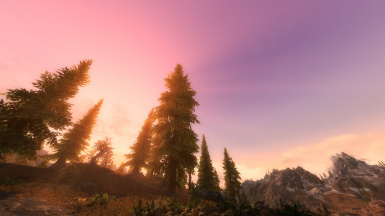 - Excellent use of godrays to achieve spectacular mornings and sunsets. 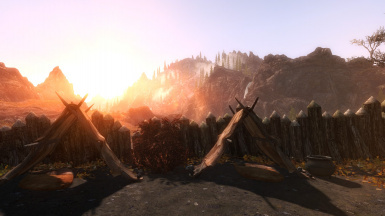 - Shading similar to ENB for classic Skyrim. 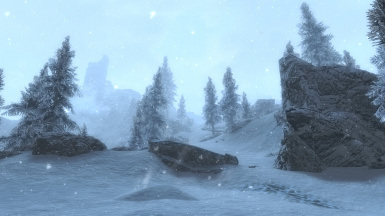 - Snow shader has been fine-tuned to look better. - Very intense rain and snow storms. - Full replacement of thunder sounds. - Rain and thunder can now be heard inside interiors. 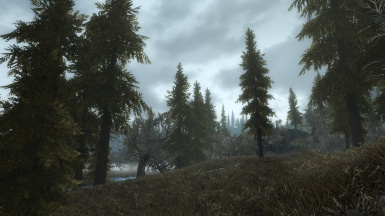 - A grass mod. 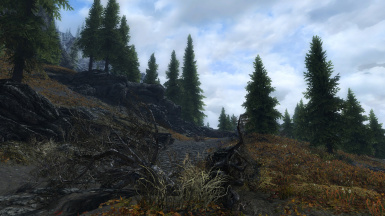 Vanilla Vegetation Overhaul looks the most natural in my opinion. 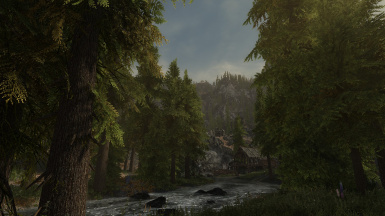 This also provides good Tree LOD for vanilla trees, Indistinguishable Vanilla Tree Billboards is not needed if this is used. - A texture pack, my recommendation in this case is Skyland. 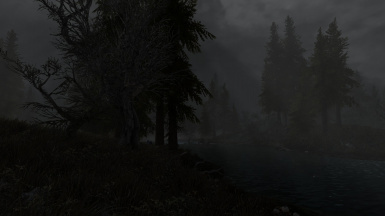 - This is absolutely not compatible with other weather mods. 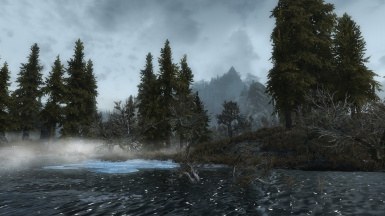 | Any mods that require a patch for other weather mods will also require one for Mythical Ages. 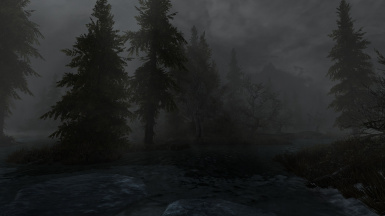 | Mods like Sounds of Skyrim and True Storms are considered incompatible for example. | Any form of conflict will break the weathers playlists and as such, 80% of the weathers will not play! 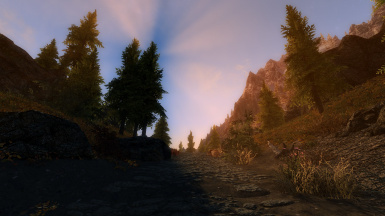 | Mythical Ages will work for this kind of mods as long as they use vanilla weathers. 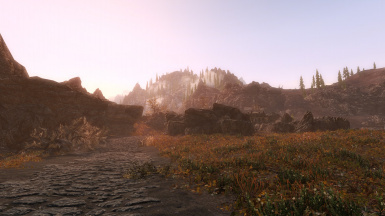 However, a patch is still needed to implement the additional new weathers. - Placing this mod near bottom in load order is better than placing it at the top in order to avoid issues with weathers playlists. - You are not allowed to upload Mythical Ages to other websites or reupload to NexusMods.com. 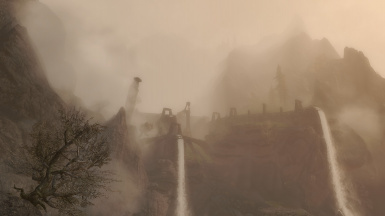 | The only person allowed to upload this mod to Bethesda.net for consoles is Tarshana. 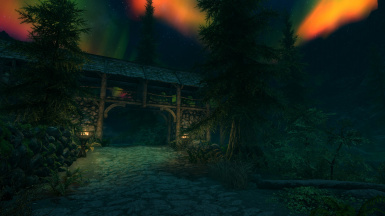 - Patch files available here can be uploaded to Bethesda.net for Xbox One by anyone. - Sound files are under the Creative Commons Attribution 3.0 license. This means you can use them in your own work as long as you credit the original authors as well as link to the license. 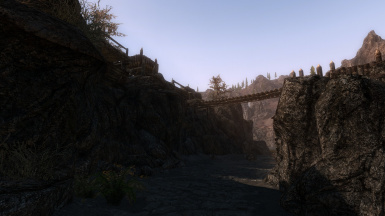 Be sure to check out my other mods, you never know what you may find!